AIS is an English-Japanese bilingual school nurturing ‘global-ready communicators.’ Therefore, it is important for the school to not only teach our students English and about global society, but also to allow both Japanese and international students the opportunities to learn about Japan. AIS has events such as a Tanabata festival, in July, and Setsubun celebrations, in February, so that students can further their understanding of Japanese culture and values, as well as Cultural Days once a term when a guest speaker comes and introduces his or her country. 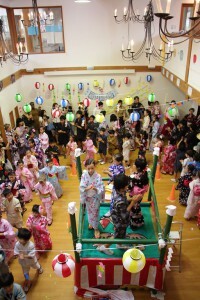 AIS also holds events for students to learn about cultures from outside of Japan. 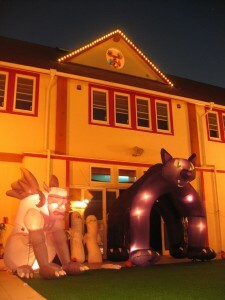 Students can enjoy playing a wide variety of games at the annual AIS Halloween party. 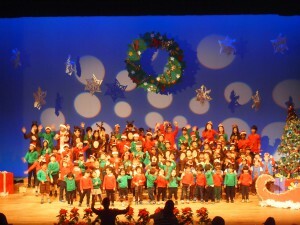 The Christmas concert is another special evening, with the performance held at a theater away from the AIS building. The entire musical is choreographed by the AIS staff. The performance usually includes singing, acting and dancing, with the 2 hour show conducted exclusively in English. At the end of the night Santa visits the students with very special presents for them to take home. AIS has an annual Sports Day in June, which sees all of the AIS students competing against one another for their team houses. 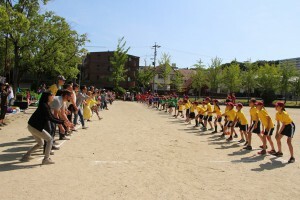 The morning of the Sports Day is when the kindergarten students compete for their prizes, with the elementary school students racing after lunch. Elementary students have bi-weekly (Grades One and Two) and weekly (Grades Three to Six) violin lesson as part of their music curriculum. Also, for students who have a further interest in the instrument, they can have extra violin lessons with a professional violin teacher after school. 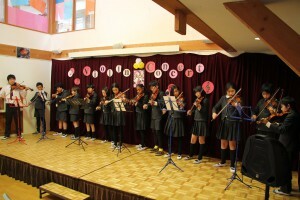 Students perform in the AIS hall at the end of terms one and three for parents, plus some students put on a Christmas concert at Hoshigaoka Terrace (shopping area close to the school). In addition to the many special events, AIS students also go on several field trips. 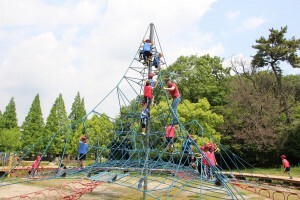 Both the kindergarten and the elementary school students go on a field trip once a term. Some of the places that the students have visited include the zoo, the aquarium, the science museum, theme parks and factories. The elementary school students have been to attend professional sport games, including baseball, basketball, futsal and rugby, in Nagoya, and have met the players of the local professional teams. 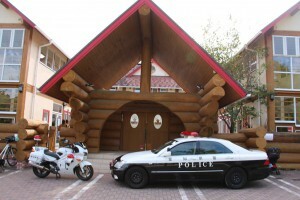 We also encourage members of the local Japanese community to work with our students as well. The police, sumo wrestlers, African drummers and dancers, and a bug bus have all been through the gates of AIS to widen the students’ understanding about a whole range of topics.